I love this online community of creative people. There is so much amazing talent out there; so many inspiring projects to spark our own creativity. I’m thrilled that there are link-ups specifically designed so that this community can share projects, trade ideas, and inspire one another. Whether it’s a sneak peek of a work in progress, or our most recent finish, those link-ups are like “Show and Tell” for grown ups. And everyone loves Show and Tell day! My recent unintentional blogging hiatus happened partly because I didn’t make visiting my own sharing space a priority, but also because I didn’t really have any awesome finishes to share. But I started this blog because of this community, because I wanted inspire as well as be inspired. Admittedly, though, I wasn’t really feeling very inspiring. My sewing room is a disaster and I have more mistakes than finishes. You know what, though? The messes and the mess-ups are part of the process of my creativity! 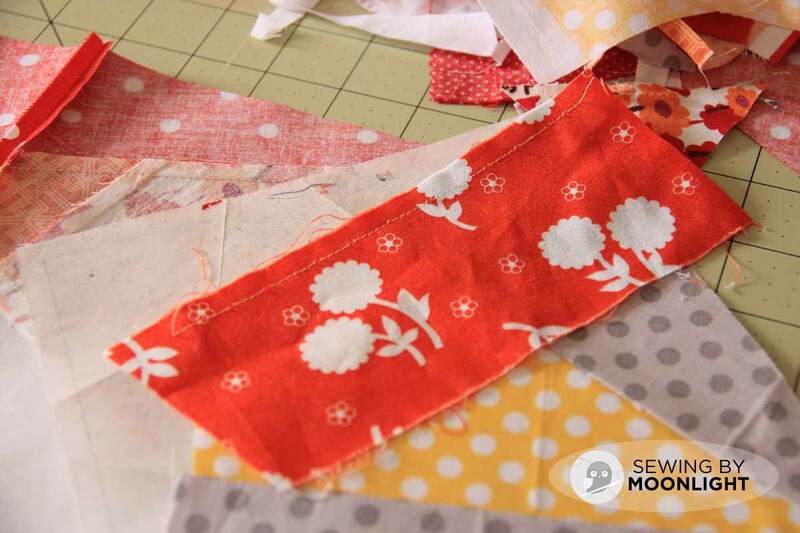 In pulling fabric, and cutting, and piecing, and all of it, the mess happens. And sometimes I screw up. And that’s all okay. Sure I love the satisfaction of finishing that final stitch in the binding, but the joy is in the doing, in each step that brings a little stack of fabric ever closer to a finished project. Even the steps that involve a cutting mat buried under fabric, another date with the seam ripper, and maybe (sometimes) a swear word or two are part of that journey. Finishes are great, and I love looking at your pretty works in progress, but with that kind of input ruling the blogs I read, it’s easy to feel like I’m the only one who messes up and makes a mess. Regularly. I’m putting this link up out there because some days I use my seam ripper more than my sewing machine. I want us to have a place where we share the gritty, frustrating part of this process that we love. On those days where you feel like everyone else is churning out beautiful finished projects and you can’t find your rotary cutter, come here. You’re not alone. I do hope you’ll link up your messes and mess-ups, and then go visit someone else and tell them you have days like that, too! Hey! Did you know that when you are paper piecing you are supposed to place fabrics right sides together? You should not sew the wrong side of one fabric to the right side of another. My daughter designed her first quilt, and I agreed to sew it together for her. I put these two pieces right sides together, but then I sewed them together along the wrong edge. I think my seam ripper needs a name. We spend a lot of time together. I’m making a chevron quilt for a friend, composed of 352 4.5-inch HSTs and squares. I calculated that I needed 160 pink/cream HSTs and 144 mint/cream HSTs. However, when I ordered the fabric, I only accounted for the cream with the pink, not the cream with the mint. I didn’t realize that I didn’t have enough fabric until I was cutting it out. That left me with either 1. Redesign the quilt or 2. 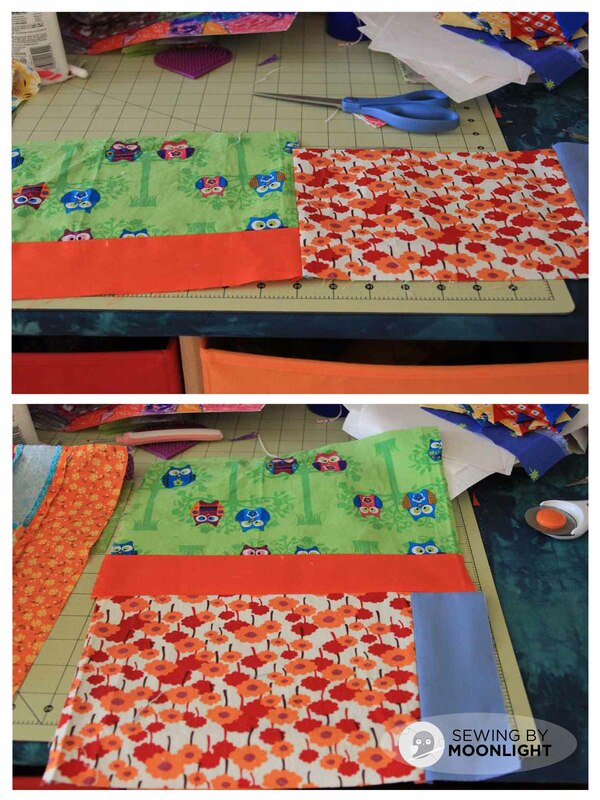 Order more fabric and wait for it to come in before resuming cutting out the quilt. I redesigned. I think it will still work out well, and I’m sure she’ll be happy with it, but it was definitely a careless miscalculation on my part! You know, sometimes I think a mistake happens because the quilting gods are looking out for us. 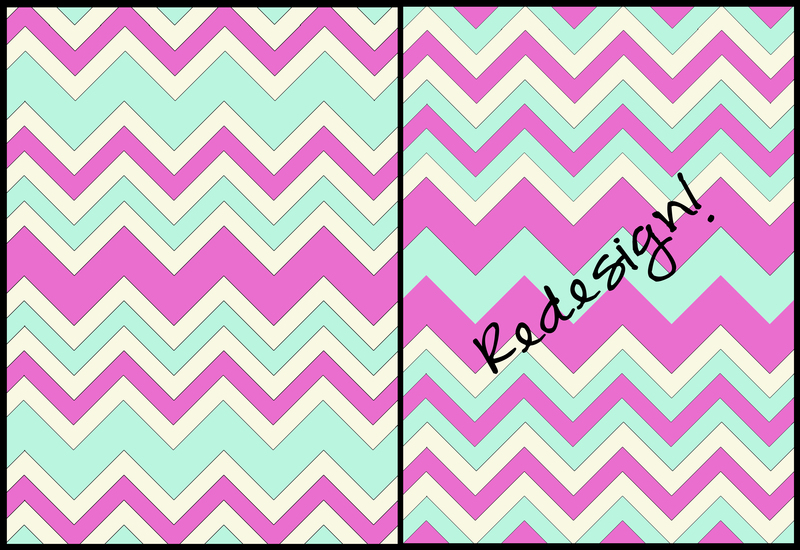 I actually like your redesigned zigzag quilt even better than the original. It’s more dynamic, while the first was a little softer and more sedate. I feel the same way! I haven’t blogged since Feb. 19th! I feel so bad about that. I have two large quilts that I need to get quilted. I haven’t had the motivation to do so. I have to do it on my Janome domestic machine, and I hate wrestling with it. I have a mess in my sewing room, and get down when I go in there to try to do anything. So, with that said, you are NOT alone! Well, I kind of like your new design! So there! :p I will keep this post in mind as I pick out the last few bits of quilting on Skorca today. A mere six hours spent ripping out half the quilt. Fuuuuuuuun. I don’t mess up….more than once or twice a day. I also don’t fib. HA! if you don’t have a mess in the sewing room you are not doing a good job. my theory any way, sounds good!!!!! I also prefer the redesign, love the color choices, too. My personal rules about oops moments is that when I make the exact same mistake two times in a row, I move on to something else. Our house is about to go on the market and having to declutter my studio and keep it buyer-neat is going to be the hardest part of the process – I believe in letting the fabrics pulled from my stash breathe in heaps on the floor after they have been used for cutting. That practice is on temporary hold! Finishing projects is swell. But, enjoying the process, being creative and having fun don’t necessarily mean you have a finish to share all that often. Glad to see I’m not the only one who is best friends with her seam ripper. My seam ripper is named ‘Jack’. Jack the Ripper and I spend more time together than we should. Thank you so much for posting this! I know I’m a little late to come across it, but it’s just such a lovely idea. I’m definitely somebody who is idea rich and time poor, and I’m also not really a perfectionist – and sometimes I feel overwhelmed by how many things people get finished and in such a perfect precise manner! So it’s lovely to know and be reassured that other people are messing things up and letting life get in the way sometimes. Thank you for the opportunity to link up and for all the encouragement!